Vaneeza Ahmad is arguably the most distinguished personality in Pakistani fashion industry. 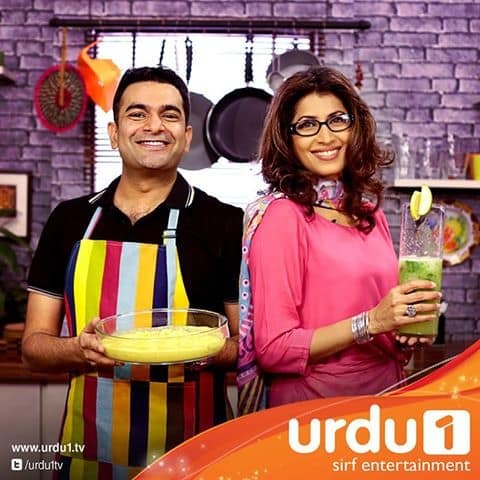 She doesn’t make many appearances on TV, but in the latest episode of Star Iftaar, Sarmad Khoosat welcomed her to the show. Vaneeza shared a bit about her journey and revealed that she made her TV debut with drama serial, Khayal on PTV which was a bold play of its time that tackled issues like drug abuse, AIDS and violence against women. Vaneeza has two daughters and in many interviews, she talks about how much she loves and enjoys her role as a mother. She revealed that she might consider acting in dramas again. Vaneeza’s shout-out to her husband for cooking for her and spoiling her with his delicious dishes was very sweet. 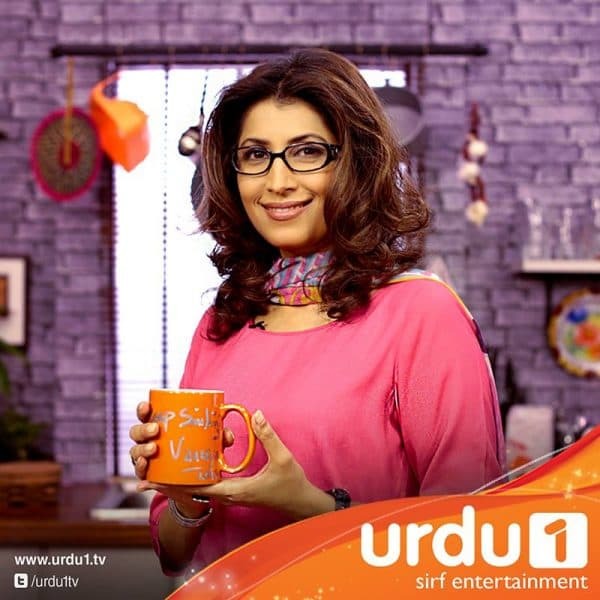 This was quite an interesting and informative episode because Vaneeza Ahmad shared some useful information about various ingredients. This time, Sarmad Khoosat prepared one of my favourite dishes, Khousay.